Stunning! That’s the way most people describe a sandblasted sign. The texture, colors, shape, size and the quality feel of a well-crafted cedar sign is impossible to create by other means. At April Graphics in Maple Grove, we’ve honed our sandblasting technique over the last three decades. We are experienced in working with a wide variety of woods, and our experts can help you choose the right material for your sign. Yes! Sandblasted signs can be made out of natural wood like redwood or cedar, or they can be made from man-made materials like high-density urethane (HDU). We’ve designed and completed signs out of a broad range of suitable materials for clients throughout Minneapolis-St. Paul and greater Minnesota. 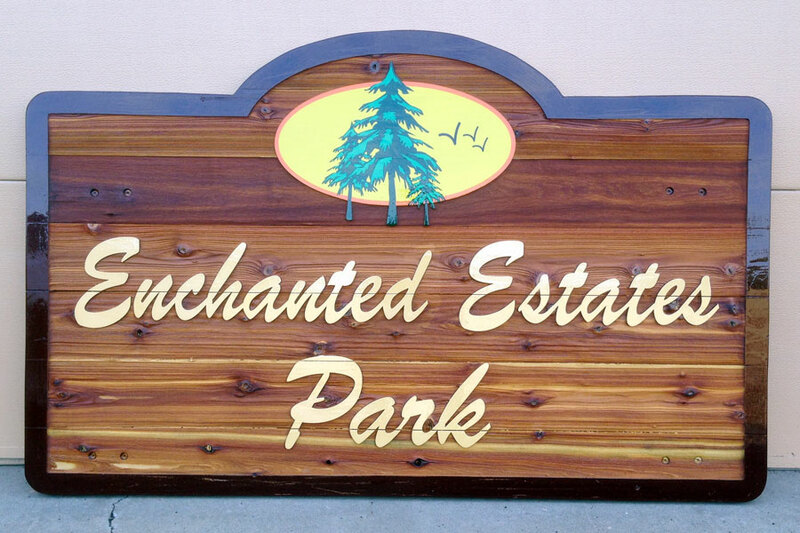 For some applications, there’s just no substitute for the warmth and high-quality feel of a wood sandblasted sign. These signs welcome people to their destination unlike any other, they are truly something special. We’re ready to hear about your ideas and help you decide if a wood sandblasted sign is the right fit. We offer a free quote, so feel free to give our Maple Grove office a call anytime at 763-425-7446 or fill out the contact form on the right side of your screen. We look forward to hearing from you!